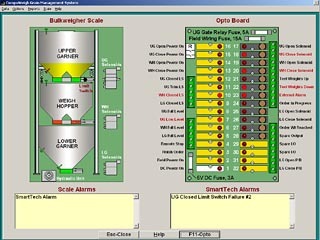 CompuWeigh has always sold more bulkweighing scale controllers to the grain industry than all its competitors combined. 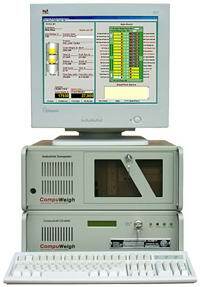 It was only recently however, that CompuWeigh also became the largest supplier of the physical scales themselves. This is because customers recognize that to get the best results, the scale and the controller must work seamlessly together and the best way to ensure this is to have one company take responsibility for both. Here are some statistics reported by an elevator manager in Kansas who is using the CompuWeigh Bulkweighing System. What does the Elevator Manager have to say about it? How do we achieve the highest speed? Any time the weigh hopper is not running full drafts, it is losing throughput. Our CD-4000 controller runs through its entire weighing routine 10,000 times a second and is therefore able to immediately react to changing flow rates. 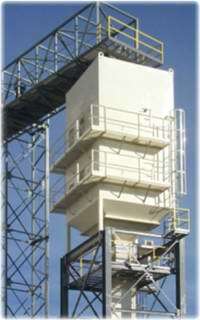 This means that we can safely run much larger drafts without any danger of overfilling the weigh hopper. Our system allows the operator to enter an over-ride value allowing the scale to run at a slightly higher capacity if it will save a draft. Since a draft takes approximately 30 seconds, this will often save 10 minutes on a unit train. On the last draft of an order where you need to be extremely accurate, competitive products close the feed gate just before the end, calculate how more needs to be added and then jog the feed gate to meter in the last amount. This takes time and is not very accurate. Our system is monitoring the system in real time and is able to move from the full gate open position, to a partial closed position and finally to fully closed in one fluid motion. In fact our last draft takes no longer than a normal draft yet we are typically within 10lbs of the target weight. Our latest controller, the Compudraft CD-4000, is over 1,000 times more powerful than our previous model, the CD-3000, which was the Industry’s best selling unit. The CD-4000 completely eliminates the ‘thinking’ time of the previous system and this alone saves 40 minutes on a unit train. 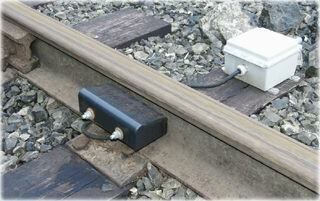 Most of our customers use our SmartRead Rail RF system. This eliminates all the time delay of walking the track and entering car numbers and weights into the system. This ensures that the maximum time is available for running the scales. Options like our SmartLoad system completely eliminate any delay between one car and the next, as well as reducing the need for a large upper garner. Typically SmartLoad will reduce unit train load out by an hour. We build our own scales, so we are able to optimize the size of the hoppers and gates, as well as position the level sensors, to optimize throughput. How are we able to provide the most accurate controller on the market? Our CD-4000 is constantly reacting to the changing conditions of the scale. On a cold morning, the gate cylinders will be working much slower than at the end of a day and therefore the gate closing times will be dramatically different. The CD-4000 is constantly monitoring gate closing times and learns how the scale is operating and adjusts to these changing conditions. 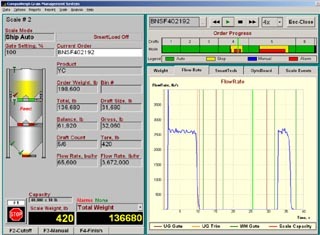 The flow rate into the weigh hopper can change dramatically even during a single order. At the beginning of an order, the upper garner may be full of product and therefore the flow rate into the weigh hopper may be in the order of 3,000 lbs a second. Once the scale catches up with the upper garner, the feed rate will slow down to the leg speed, which may be in the order of 500 lbs a second. This dramatic change requires immediate action. Our CD-4000 instantly reacts and has a resolution of 1/10,000th of a second in deciding when to close the gate. Clearly this is well inside the repeatability of the gate closing time. Facilities that are using our CD-4000 report that more than 75% of the cars loaded are within 10 lbs of target weight. We are the only company that is able to control a gate with a maximum throughput of 3,000 lbs a second and control the flow down to within 10 lbs. Not only do we have the fastest, most accurate bulkweighing controller on the market, but it’s also the most reliable. How can we say this? Experience has shown that mechanical devices are more prone to problems than solid-state systems. For this reason our CD-4000 has no moving parts – no hard drives, floppy drives, etc. This is the reason that we are the only company that offers free life-time support on our controller. Others charge $500 t o $1,000 a year for this. We love Microsoft Windows, but when it comes to highly reliable real time systems, we have found that it falls well short of the mark. For this reason we only use Windows where it is backed up by an alternative system. 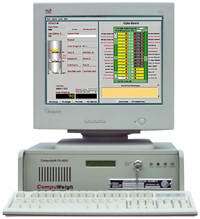 For example, should one of our GMS Windows based systems go down, the operator just turns a key switch on the CD-4000 and the operator can continue on – running at full speed, on a full color screen and with a full sized keyboard, rather than alternative systems that provide a small keypad and a tiny screen. To many, the bulkweigher is a ‘black box,’ so when it develops a problem, particularly in the middle of loading a unit train, there is a huge concern – sometimes panic! To solve this problem we have invented a unique product called SmartTech which constantly monitors over 40 things that can go wrong with the scale. Usually we will spot a problem before it becomes a serious issue and show the operator right on his monitor, what the problem is where it is on the scale and finally,how to fix it. In some cases the operator can take care of the problem right away. For more serious problems, the operator is able to tell the scale serviceman exactly what component is faulty so the right part is brought to the site. 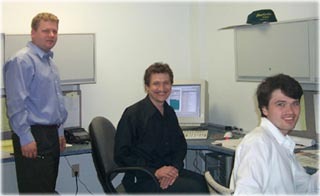 We also provide the best technical support in the industry. Our staff are knowledgeable about both the physical scale, which in many cases we built, and the electronics so you can get help straight away. We also provide modem support direct to our customer’s controllers so that we can take care of problems, provide updates or show a new operator how to use the system right over the phone. For larger customers, we can provide TCP/IP communications so that support can be provided by a companies internal resources from anywhere in world. There are two components to this. 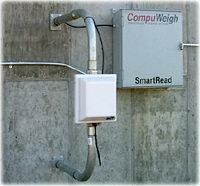 Continuous improvement by CompuWeigh. Our whole focus is on designing systems that increase our customers’ productivity while reducing operating costs. Our latest improvement is adding wheel sensors to our SmartRead rail car RF so that we can alarm the operator if there is a car without a tag. Continuous improvement by our customers. Yes, we actually expect our customers to improve! We provide the managers with the tools to analyze their operations.On the right is an example of a unit train load out graph. 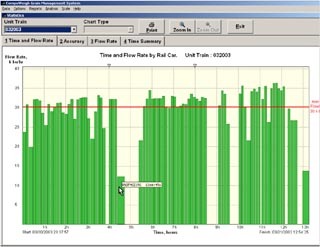 From this graph the manager can see exactly how long the unit train took to load and where the problems were. The manager can then ‘drill down’ to look at a problem car and run a slow motion ‘movie’ of exactly what happened. The SmartTech system is also monitoring the scale and provides a detailed analysis of what the problem is, where it is and finally how to fix it. These are the tools that let a manager improve their operations. These are some of the tools that really separate us from the rest.